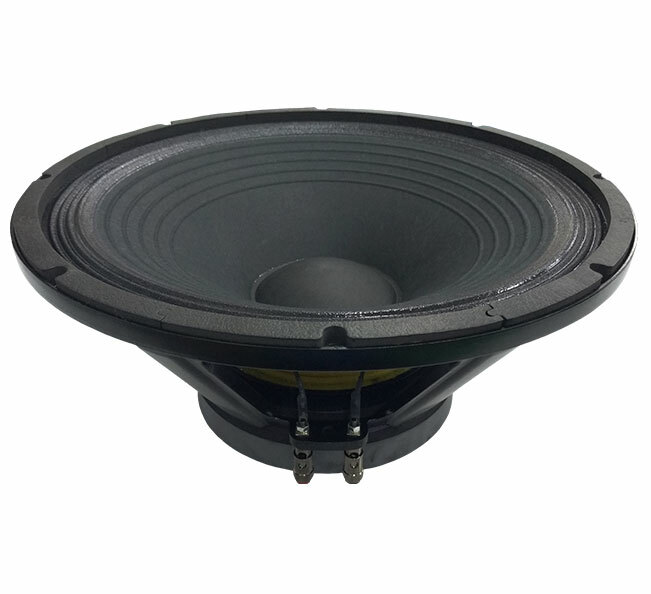 The P.Audio C15-400F is a high performance wide bandwidth transducer. The C15-400F is an upgraded design that features many of P.Audio’s new technologies and performance upgrades. The 15 inch (381mm) diameter piston will produce extremely high sound pressure levels at both low and mid band frequencies and is ideal for high level response in both live sound and recorded music venues. The transducer uses high energy ferrite magnetics to achieve a very high acoustic output to weight ratio. The C15-400F has been optimized for use in two way or three way sound reinforcement systems and has an operating range of 40Hz to 2500Hz. 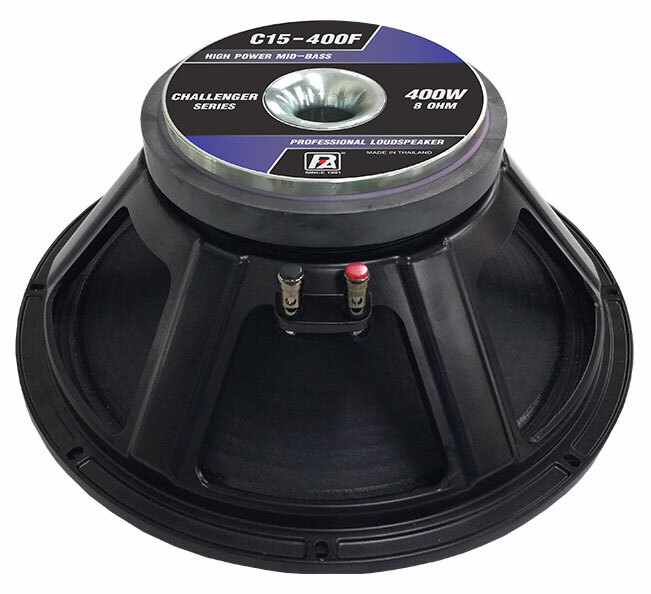 The C15-400F features a large 3 inch (76.32mm) diameter voice coil that provides an AES rated 300 watts of continuous power handling and a full 1600 watts of peak rated power handling when sufficient amplifier headroom is available. 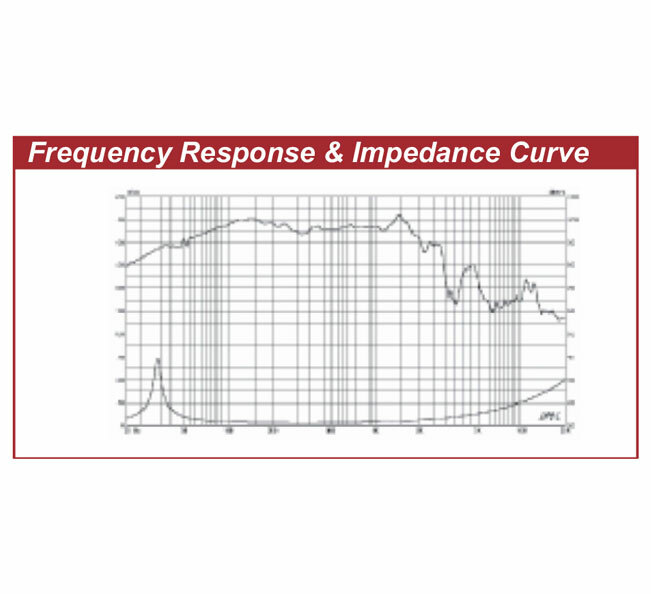 The C15-400F utilizes P.Audio’s Auto Balanced Cooling (ABC) technology to not only improve transducer power handling and reliability but to also increase power compression performance by carefully balancing and directing airflow to critical areas. 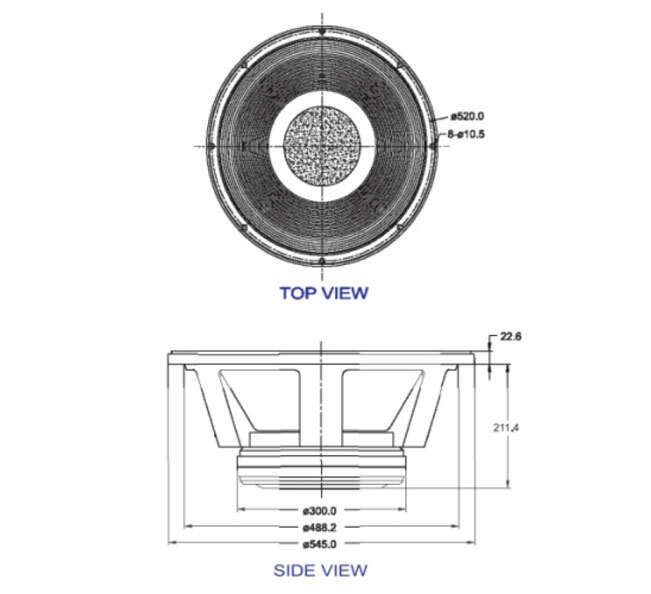 The voice coil design is a bobbin wound geometry with P.Audio’s inside/ outside wire technology to improve conversion efficiency and provide a large cross-sectional area for superior cooling. The transducer chassis is a die cast aluminum design that insures a very high degree of structural integrity.